Sandra Davis: "My imagery involves capturing remembered moments from the past. Working in several bodies of work, I explore history by photographing what remains from previous eras. … Working in the book format allows me to express myself in a narrative format, using text and image." Burlington, New Jersey: Sandra C. Davis, 2007. Edition of 180. 5.5 x 5.75" folded, extends to 11'; 24 pages. Accordion structure. Offset printed at the Borowsky Center for Publication Arts at the University of the Arts in Philadelphia. Bound in Tyvek cover with a reproduction illustration of a 1960s map. Signed and numbered by the artist. Sandra C. Davis: "This . . . artist's book takes the reader on a journey with me and my family chronicling our annual journey from Willow Grove, PA, to our vacation home in Avalon, NJ. It features 20 duotone photographs . . . of 'roadside America' coupled with a narrative of . . . childhood memories about the places portrayed in the images." Introduction: "When I was a child in the 1960s, every summer my family spent two weeks of vacation at the shore. This family tradition started before I was born, when my grandparents, in 1953, bought a tiny two-room cottage. The journey from my home in Willow Grove, Pennsylvania, to the house in Avalon, New Jersey, took about two-and-a-half hours. My oldest brother spread out in the back seat and my other brother and I rode in the station wagon's way-back on top of foot lockers that my mother spent a week packing. The back window became my magic frame through which I looked for landmarks to help pass the time." Burlington, New Jersey: Sandra C. Davis, 2007. Edition of 120. 6.25 x 6.5"; 36 pages. Printed offset at the Borowsky Center for Publication Arts at the University of the Arts in Philadelphia. Three-signature pamphlet style binding. 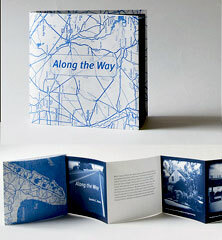 Bound in paper wraps with a letterpress printed cover. Cover photo inkjet printed using archival inks. Signed and numbered by the artist. 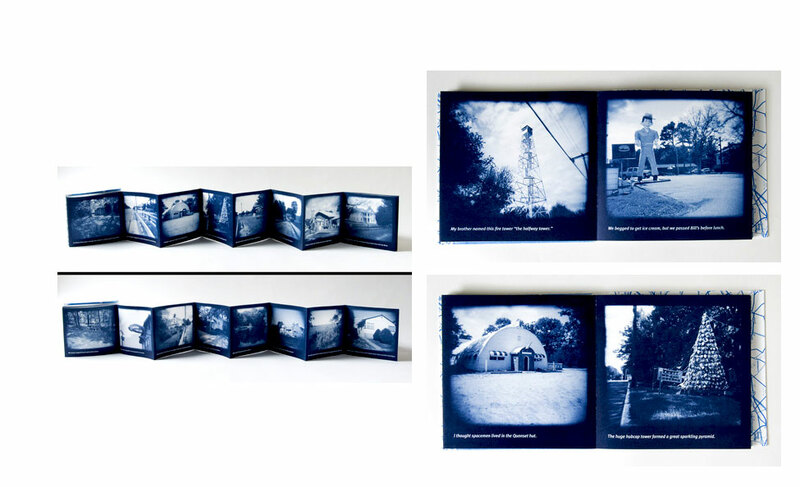 Sandra C. Davis: "This... artist's book tells the story of the Victorian amusement park built in the town where I grew up. Filled with gathered personal memories of the park from its heyday, it also include my experiences of photographing the park in its abandoned state. 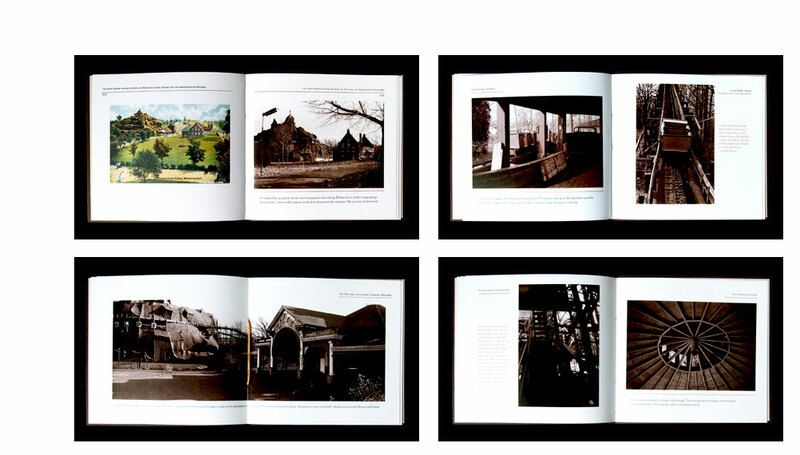 Over 20 original photographs shot in 1979 depict the park as it appeared months before demotion. Eight full-color reproductions of historic postcards are also included." 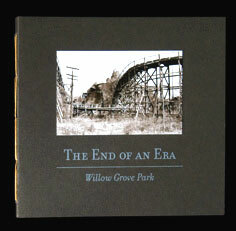 Introduction: "Willow Grove Park opened on Memorial Day in 1896. . . . Built and operated by the People's Traction Company, it was located less than fifteen miles outside of Philadelphia as a destination for folks to ride the new trolley line on weekends. Situated over two adjoining farms spanning 92 acres, the park boasted three artificial lakes, . . . Among the first buildings erected on the site were a casino (cafe), a lodge, several pavilions and the famous band shell where free outdoor concerts were held." Burlington, New Jersey: Sandra C. Davis, 2006. Edition of 25. 4 x 4"; 8 pages. 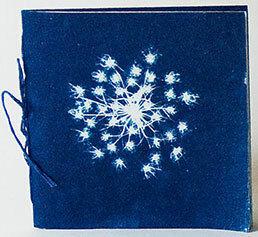 Cyanotypes printed on handmade Japanese mulberry paper. Materials: lace, thread, flower. 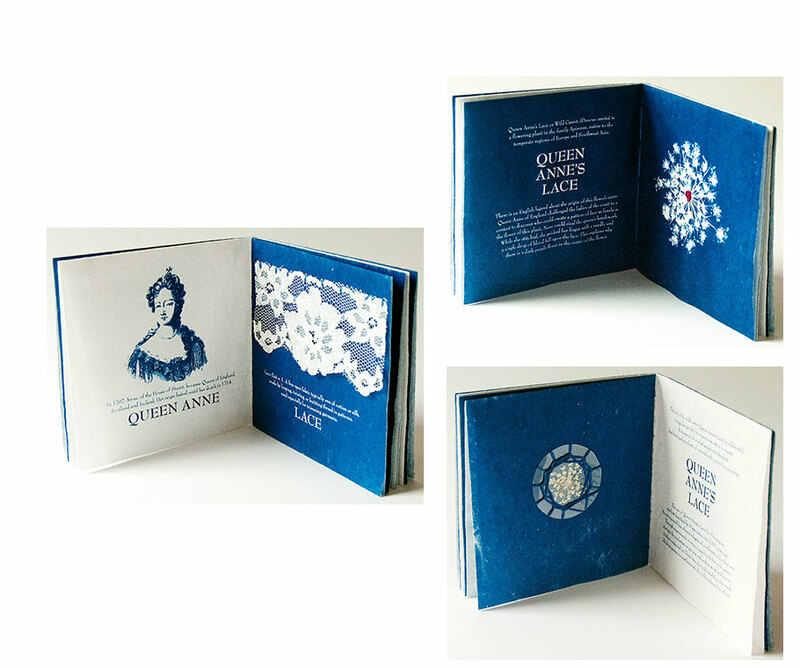 Pamphlet stitch binding in blue heavy thread. Printed at The University of the Arts in Philadelphia. Signed and numbered by the artist. Sandra C. Davis: "Soft to the touch, this book is a play on words and tells the history of how the wildflower got is common name."